Postmortem planning is something that you must take into consideration if you want to leave behind a self-actualizing estate dynamic. Working with an estate planning lawyer to construct legally binding documents is part of the process, but you also have to plan ahead with the eventual administration of the estate in mind. Certain steps must be taken after your passing to get the wheels in motion. If you utilize a last will to express your final wishes you choose an executor or executrix, and this individual takes care of the hands-on tasks with the assistance of a probate lawyer. The logical course of action would be to arrange for the estate planning attorney who is drawing up your last will to act as the probate lawyer to help guide your executor through the process when it becomes necessary. There are those who choose to utilize revocable living trusts to direct future asset transfers. For these individuals probate is not much of an issue, but trust administration is indeed something that must be taken into consideration. We have prepared a free report that examines the process of trust administration in considerable detail. Our firm is currently offering this report to people here in the central New Jersey area and your copy is available to you right now. This report is invaluable for anyone interested in creating a trust for the well-being of their loved ones, and we urge you to take action to obtain your copy. 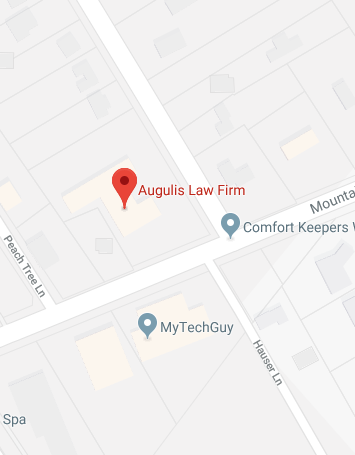 Mr. Augulis founded his Warren, New Jersey law firm so that he could focus his practice in the areas of advanced estate planning and tax law. Mr. Augulis has invested considerable time and energy helping to educate others on the topic of estate planning and has become a sought-after speaker in the tax and estate planning arena because of his informative and entertaining seminars.